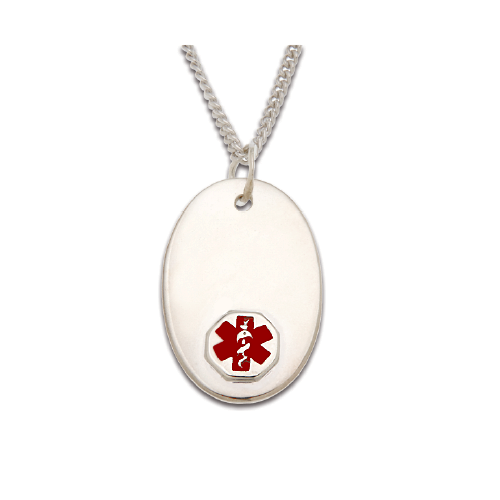 Sterling Silver medical ID oval pendant with 26 inch (66.04 cm) chain necklace. 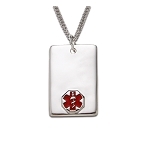 Pendant measures approximately 1 by 3/4 inch. Smaller than expected but I like it. Thank you.